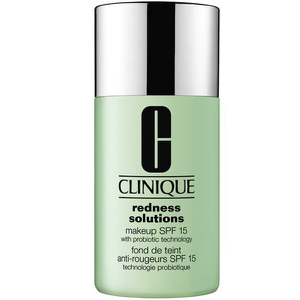 Achieve a flawless complexion with the Redness Solutions Instant Relief Mineral Pressed Powder from Clinique. With an oil-free formula, the lightweight powder conceals discolouration and instantly reduces visible redness and the appearance of broken capillaries. Formulated with applied colour science technology, its yellow tinge becomes invisible when applied to skin for long-wearing coverage, whilst antioxidants shield from external aggressors. Suitable for all skin types and complete with an integrated mirror for use on-the-go. Talc-free. E.N. 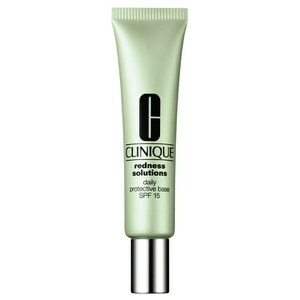 Can be worn alone, over, or under make-up.